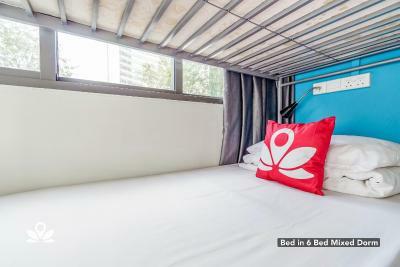 Lock in a great price for ZEN Hostel Bugis – rated 8.1 by recent guests! 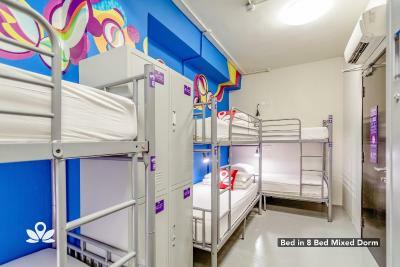 Hostel is near haji lane, arab st, bussorah st, sultan mosque, and bugis. 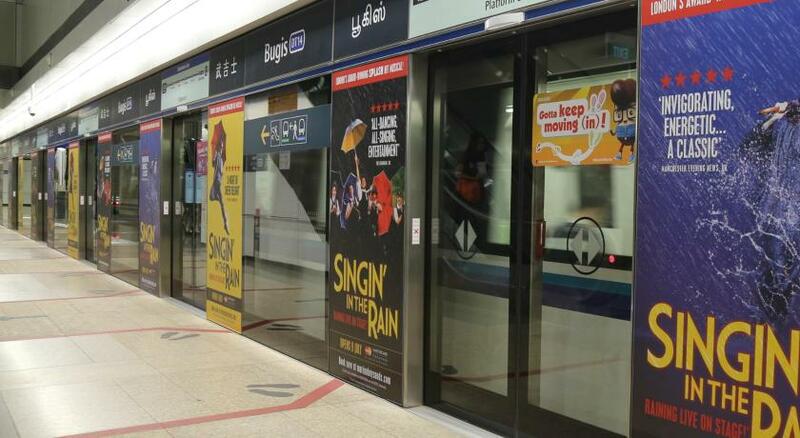 The place is accesible to everywhere and near MRT. I like the shower and kitchen/dining area. Staff was friendly & helpful. Room was clean. Separated washroom for male & female. 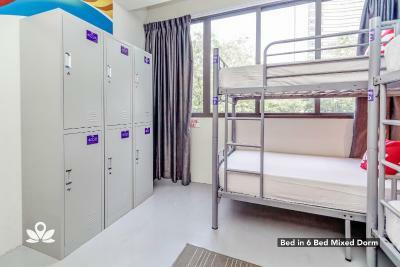 Location is very accessible to a lot of tourist destinations, and just a few meters away from MRT. 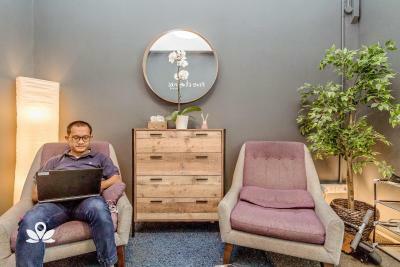 The staff is a bunch of super jolly, energetic, and accommodating millennials. 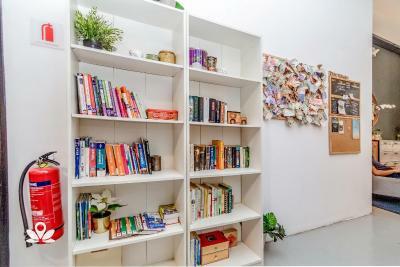 The location is very good, near the Arab street. 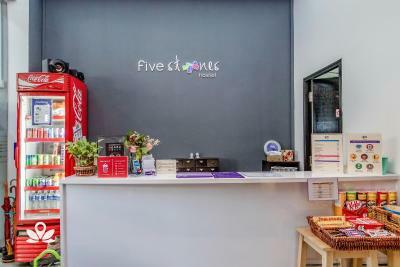 There are a lot of Foods within 5 minutes walk. The bus-stop is in front of the Hotel, if you book the Hop-on-hop-off, this is the bus-stop of the Yellow Line. Toast and cereal available in the morning - tea, coffee and water all day, which was nice. Decent chill area. 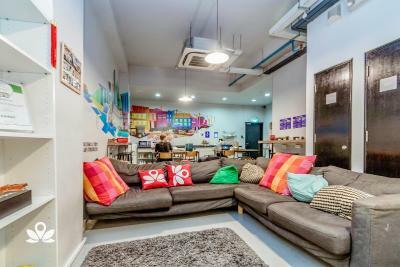 Very good location near the Arab Street. Plenty of places to eat and drink. Close to metro station. The lounge area was very good also a nice place to hangout with other people staying at that property. 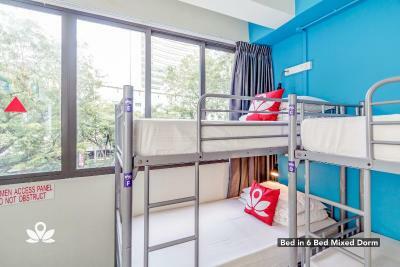 ZEN Hostel Bugis This rating is a reflection of how the property compares to the industry standard when it comes to price, facilities and services available. It's based on a self-evaluation by the property. Use this rating to help choose your stay! 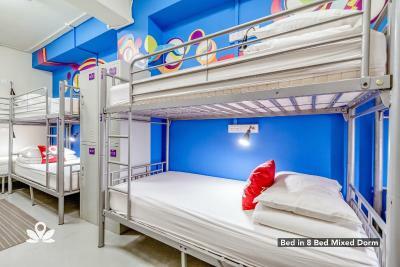 ZEN Hostel Bugis has air-conditioned accommodations in Singapore. 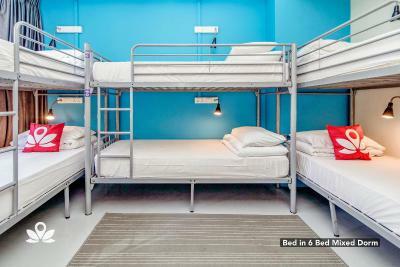 With free WiFi, this 1-star hostel offers a 24-hour front desk and a shared lounge. Bugis Street is a 15-minute walk away. 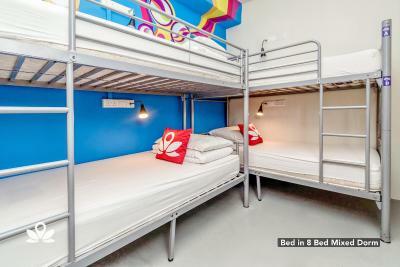 Rooms include a shared bathroom with a shower, free toiletries and a hair dryer. 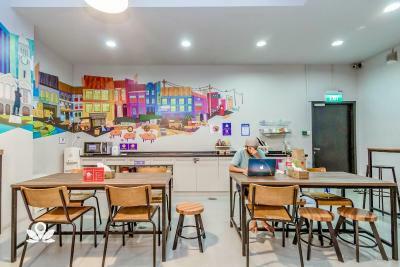 Continental and Asian breakfast options are available every morning at the hostel. 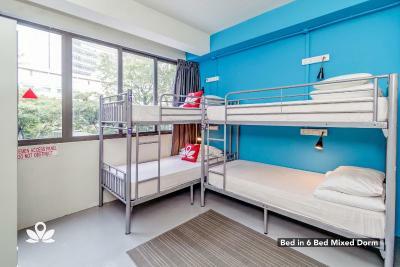 Popular points of interest near ZEN Hostel Bugis include Raffles City, Suntec Singapore Convention & Exhibition Centre and Mustafa Center. 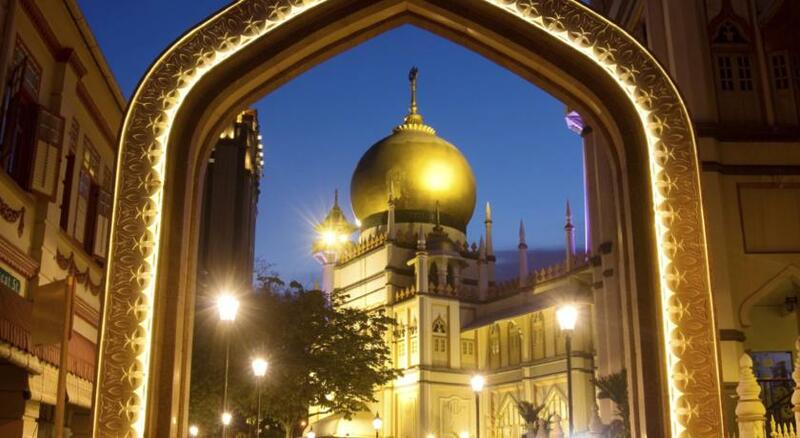 Kampong Glam is a great choice for travelers interested in convenient public transportation, city trips and city walks. 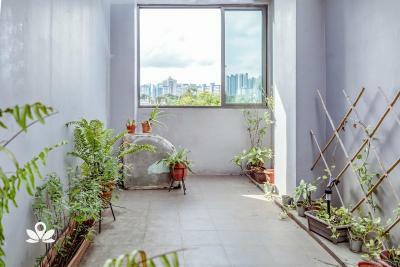 뀐 Located in the top-rated area in Singapore, this property has an excellent location score of 8.9! 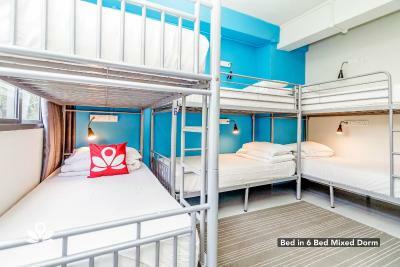 When would you like to stay at ZEN Hostel Bugis? Public parking is available at a location nearby (reservation is not needed) and costs SGD 24 per day. 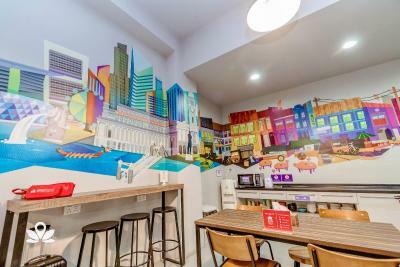 Area Info – This neighborhood is a great choice for travelers interested in convenient public transportation, city trips and city walks – Check location Great location - show map Guests loved walking around the neighborhood! 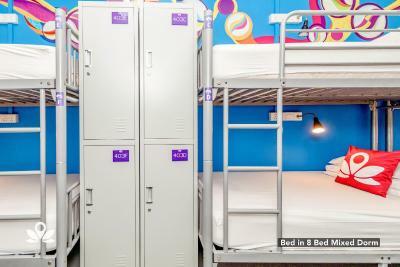 House Rules ZEN Hostel Bugis takes special requests – add in the next step! 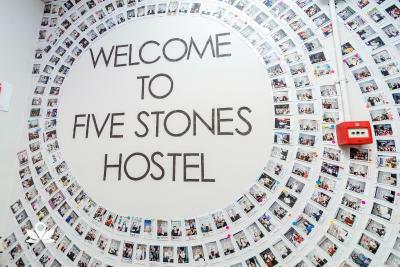 ZEN Hostel Bugis accepts these cards and reserves the right to temporarily hold an amount prior to arrival. The shower sink was blocked. Girl at the reception could be more friendly. The beddings and beds are so dusty. They also have a weird smell like they weren't washed. This is the first time I write something bad about a place I stayed. Staff wasn’t kind at all. 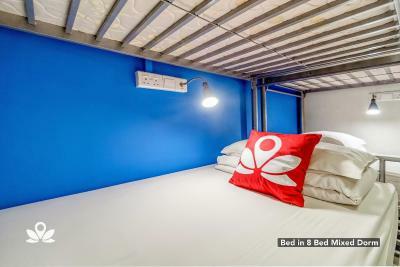 Beds were extremely noisy. Bathrooms were dirty most of the time. I wouldn’t recommend it to a friend. Cleanness of showers could be better, but it was ok.
There’s a room for improvement when it comes to clealiness of the room and the hallway. Also, if you need to leave your shoes outside there should be enough shoe cabinets not just leave them scattered on the floor. Less Breakfast options. Also they can add a bit of variety on per day basis. 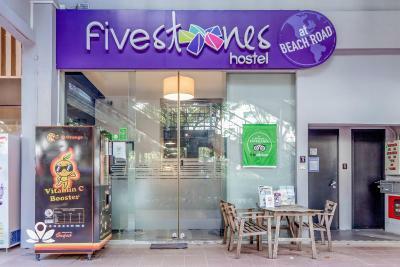 We have been traveling all over South East Asia and this was by far the worst (and most expensive place) I have stayed at!! 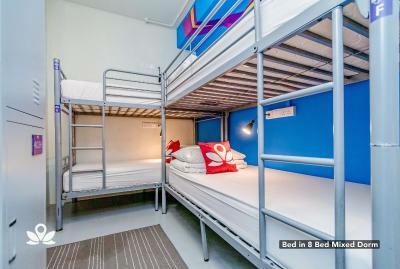 I booked 3 nights here with my boyfriend in a mixed dorm. The first night, there were 4 of us in a 8-bed dorm - us, a young female backpackers, a young male and an old woman, presumably in her late 60s. We thought it was strange that such an older person would be in our room as she looked Singaporean and didn’t look like she was traveling. We couldn’t get any sleep as all night the older woman burped and farted so loudly the other young female had to ask her to stop - she then took phone calls loudly from 4am until she left the room at 8am. The male also snored all night but this can’t be helped, I know. We complained to reception that morning and asked to switch rooms, which they allowed but they knew which room and woman we were referring to and just laughed. The other young female backpacker had already asked to switch. We later realised after checking into the next room that the other male, the snorer, also asked to switch and of course he was put into our room!! So we couldn’t sleep the next 2 nights either. There were 2 other men who were coming and going all night with their bags and it made me feel uneasy staying there, even with my boyfriend. The men/women bathrooms are on separate floors and they are disgusting. I actually decided not to shower for 2 days as it was better than using the dark cramped cubicle shower again that was full of hair and grime. I saw a lot more older residents using the bathrooms, including the old woman from the first night and they did not care how it was left after them. Women also use the men’s one if it is closer to them. There is a ‘no shoe policy’ but I, along with many others I saw (including the staff!) left them on as the floors were dirty and there is no way I’d go near those bathrooms barefoot!